Hi I’m grandma Jill entering my grandkids photos. My daughter Amy made the costumes for her nephews from scratch - no patterns. 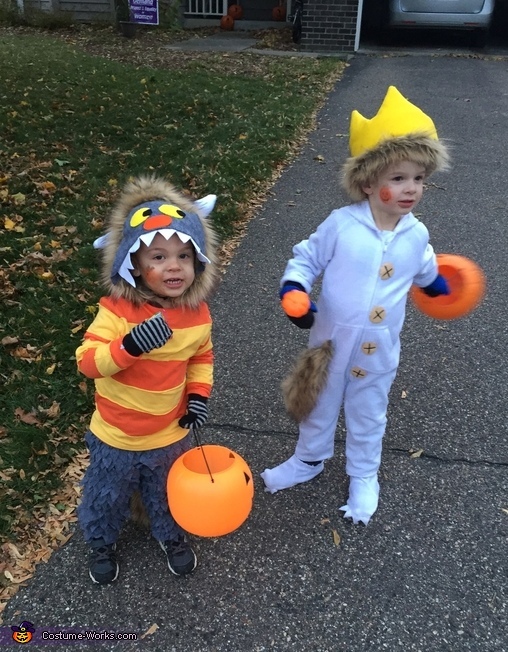 My grandson Max is 4 years old and he is “Max” from the Wild Things and my grandson Leo is 2 years old and he is “Carole” from the wild things. Costumes are made out of felt, fur and other material. Cost was approx $50 and took several hour to make.